Learning how to prevent RSI (repetitive strain injury), tendinitis and carpal tunnel is vital information for those of us who work with our hands making small fiddly things or for those who work for extended hours on a computer. 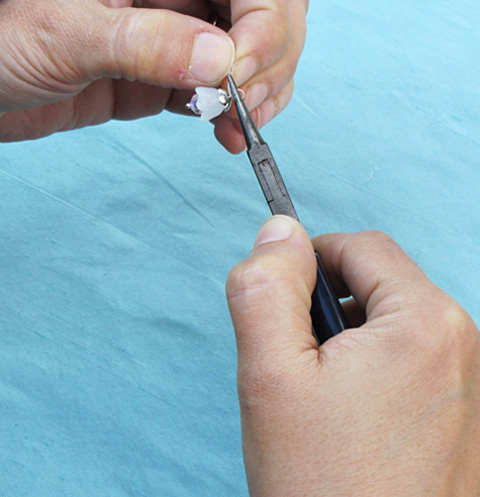 Whether you are a jewelry maker, a writer, an accountant or a waitress this information on how to prevent RSI and other arm/hand injuries is for you. First let me tell you that I am not a doctor or a physical therapist and in no way am I qualified to diagnose your particular situation. Please seek medical attention for proper diagnosis. I am simply a jewelry designer with over twenty years experience using my hands in repetitive ways, working with a variety of challenging, and sometimes very small materials. So....Why am I writing this page on how to prevent RSI, tendinitis and carpal tunnel syndrome? Well let me tell you I have had it all!...and then some! I know the agony of feeling in constant pain that draws one's attention to that pain 24/7. I know the fear associated with... "How will I be able to work again? What if I can't make jewelry anymore and what if this never gets better?" I have had repetitive strain injury, carpal tunnel, wrist tendinitis, Tennis Elbow and Shoulder tendinitis all at the same time. To add insult to injury or injuries, I also had De Quervain's thumb injury as a bonus. For eight years I wore wrist braces on both hands and my friends at craft shows came to accept that these apparatuses were an integrated part of me. In 2002, with the birth of my first child, I developed De Quervain's injury on both thumbs. I had no idea that when you lift a baby you need to make sure that you don't let the weight fall too much on your thumbs. Oh well...too late. It is very typical to develop these kind of injuries even more so when you are pregnant because the muscles and ligaments begin to relax in preparation for the birth. For this reason it's common to develop carpal tunnel syndrome during pregnancy. Here I was a new mother with a little baby to take care of and a business to run. Sometimes I wonder how I got through that time with so many injuries along with all the other challenges that come with first-time motherhood. I really was a wreck. I am here to tell you that you do not have to suffer the way I did and to teach you how you can take care of your body and learn how to prevent RSI as well as a multitude of other injuries. 1) Take Frequent Breaks: The first step in how to prevent RSI and other injuries is learning to take frequent breaks. I was once told by a chiropractor that I should be getting up and stretching every 15 to 20 minutes. While I find that about as realistic as drinking eight glasses of water a day, I do try to break at least on the hour. I know how easy it is to get lost in your work and hours have passed and then, suddenly, you notice your neck is burning. Try setting a timer for an hour and plan a different task like making a tea or simply stretching. 2) Good Posture: Although I was never told that my problem originated from poor posture I came to realize that almost all my arm and hand issues originated from my neck and were a result of too much slumping over. Good posture plays and important role in how to prevent RSI and related injuries. Consider putting a pillow behind your lower back to help support your posture. Sitting for long periods with shoulders rolled over can cause a multitude of problems with nerves, muscles and ligaments. I am convinced posture related neck compression issues where a leading factor in my general arm and hand weakness. 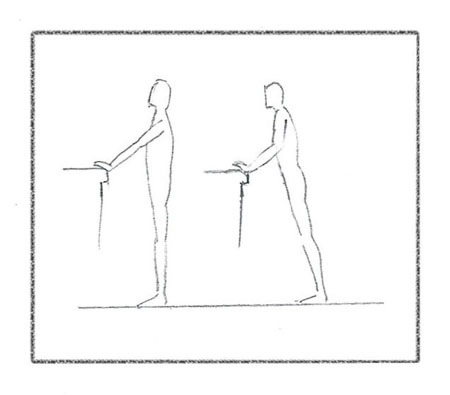 Whenever possible, work at a table to maintain better posture habits. 3) Strengthening Exercises: Learning how to prevent RSI and other arm/hand injuries with exercise is quick and easy. Here are three basic items you can use for strengthening your hands and arms. Squeeze Ball - Using a small squeeze ball is an excellent way how to prevent RSI by building up your hand strength. Do not start using exercise balls if you have already developed a problem unless you have received instruction from a medical professional to do so. Thera-Bands - Thera-Bands are used in physiotherapy clinics to gently help strengthen the arms. They come can be attached to a door knob or a railing. You then pull the band towards you or away from you depending on which muscles you want to strengthen. They come in several different colours and each colour represents a different thickness for increased level of resistance. Again, this is a how to prevent RSI tip and not a treatment for pain. Hand Weights - Small one or two pound hand weights are a great way to develop upper and lower arm strength as well as wrist strength. 4) Stretching Exercises: Stretching exercises are designed to help open up and release stress in your body and are beneficial for preventing carpal tunnel as well as a host of injuries. You can alleviate pressure in specific areas and loosen up your body prior to and after working. Before doing any kind of exercise you must know your own limits and level of mobility. Do not try these exercises if you are in acute pain or have mobility issues and cannot support your body properly. Wrist Stretches - Here is an excellent exercise tip for how to prevent RSI and counteract the shortening of the wrist tendons. Standing in front of a kitchen counter with arms forward and square to your shoulders, place your hands on the edge of the counter and lean in like a upright push up. I find this exercise is both gentle and gives a relieving stretch to the wrist area. 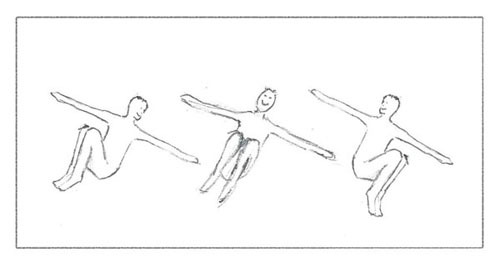 Do not do this exercise if you have acute pain or without checking with your health practitioner first. Upper Back Stretch - This stretch is most beneficial to your posture as well as releasing compression and stress in the upper back and neck. First we will start with the easiest one. You will need a solid bolster or a large rolled towel. The exercise is very simple...you just lay on your back with the bolster under your upper back/chest area and arms stretched back above your head. Lay there long enough until you start to feel really good. Concentrate on taking full breaths to the belly and releasing your breath. It is such a simple exercise but, it will really open up your chest and upper back area. Soon after doing this one you will become addicted. It can also be practiced over the arm of a sofa if the arm is nice and wide offering good support and safety. A variation of this, and this one should only be done if you are physically able and with a partner. Do not try this exercise if you feel you could loose your balance or fall. Lie on your back on a diagonal with your head at the corner of a bed. Allow your upper back, just above chest level, to curve over the corner of the bed with your head hanging and arms outstretched. If you are able to handle this one you will get the best stretch of all. It is advisable for this one to have someone on the bed with you holding your feet so that you are free to let your back stretch and your head relax. Yoga - This advice is for me too because I know how good yoga is for overall health, yet I tend to resist exercise. If you want to learn how to prevent RSI and related injuries yoga is an excellent practice for strength, release and endurance. There are many postures and moves in yoga that will help with upper back, neck and arm issues. In fact, many of the yoga exercises were too difficult for me when I had wrist issues because yoga requires a fair bit of wrist strength. A simple yoga exercise is to lie on your back, both arms outstretched to either side and flat on the ground. Your knees are up close to your body and you slowly rotate your legs to the floor on the right side, back to the middle and then to the left side of the floor. All the while you keep your arms flat on the floor on either side. This stretch is not only great for your upper back area and arms but also for your spine. 5) An Optimum Functioning Work Station: Your work area is an important factor in how to prevent RSI and other injuries. First starting with a chair that has good back support or with a solid enough back that will allow you to use a lower back support roll. Your chair should be high enough that you do not put undue stress on your shoulders and low enough so that you do not need to bend over your work to get close enough. You should have proper lighting with magnification (if necessary) again, so you do not find yourself hovering uncomfortably over your work. 6) Control What You Can: You may not have control over how many earrings you need to complete for that upcoming show, but you can have control over the planning. How to prevent RSI and other hand injuries by proper scheduling may seem rather simple, but it will keep you from over exerting yourself. Leaving yourself a little free time before a show would be preferable to cramming production into the last two days. The first time I had a problem with my hands was about 20 years ago when I was working furiously on some hand sculpted roses. I still remember that I was using black polymer clay and that the clay was not as soft as the other colors. I was working non stop and I felt a twinge in my hands that made me think "uh oh." That one experience was the beginning of a long painful process. Another thing that you can control is your home environment. When you rely upon your hands for a living you really want to make everything else that you do with your hands as effortless as possible. I learned this from an occupational therapist that I went to see many years ago and it is valuable advice. For example: If your kids drink pop, ideally it would be best to stop giving them pop, but...that's another story. Sometimes pop bottles can be really hard on the hands to open. I have practically destroyed my hands opening gingerale when the plastic cap is on too tight. You can buy a handy little gadget that has a recessed rigged area that will help you open the plastic caps quite nicely without destroying your hands. This simple little gadget can help prevent hand injuries. Another example is perhaps how your dishes are stacked. If the bowls are on top of the plates and every time you need a plate you have to lift a stack of bowls you are potentially causing undue stress on your hands and wrists. If you must do a lot of writing you can buy little foam grips for pens to make writing less taxing on your hands. All these things take some awareness, but it is well worthwhile to assess your home and work space for areas that challenge your hands more than they need to be challenged. If you where a runway model you would incorporate diet, exercise and perhaps aesthetic treatments to sustain your livelihood. In the same way you must take care of your hands so that they can take care of you. 7) Use the Proper Tools: How to prevent RSI and other injuries with the use of tools with good ergonomic design makes logical sense as your tools are really like an extension of your hands. 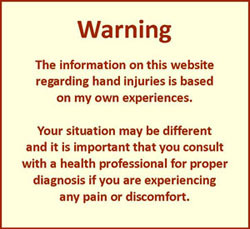 If those tools cause your hands to twist in unnatural ways or require to much pressure you will soon weaken the tendons. Don't hang onto a frustrating pair of cutters that you have had for years because you are used to them. Replace them with some quality German side cutters that feel as though they are cutting through butter. Every time you use a tool that is difficult you are putting your hands and wrists at risk. 8) Alternating Tasks: Although it makes good sense production wise to do all your cementing at once, then all soldering, then all your assembly work you may want to consider alternating some tasks that are more challenging on your hands, arms, neck or back. Spend shorter times on those tasks and work them in between other projects. That way you will not repeat the same repetitive movements that cause hand or wrist fatigue. 9) Be Present: Although this tip is near the bottom of the list it is absolutely vital in learning how to prevent RSI as well as carpal tunnel and tendinitis. Our bodies are smart and they give us all sorts of warning signals before DIS-EASE settles in. That's right dis...ease. By learning to be present and knowing when your body does not feel at ease you can stop...take breaks...change position ...use a different tool....re-assess. Sometimes it will be a sore neck or a little stress near the inside bone of your wrist. By paying close attention to your body you can catch these gentle warnings before your hand starts to tingle or feel numb. 10) Apply Ice: At the onset of any issue with your hands it is always best to apply ice and not heat as heat can do damage with a new injury. Immediate icing is the best way how to prevent RSI and injuries from taking hold. If you feel pain or strain you can apply ice at ten minute intervals. No more than ten minutes on and do it especially at the end of the work day. Those are my tips on how to prevent RSI and related injuries. If you have reached this page and you already have RSI, carpal tunnel syndrome or tendinitis then you need to read the following on treatment for carpal tunnel, tendinitis and RSI. Now...I must take a break from all this writing...my neck is killing me!